Death Cab for Cutie’s ninth album, Thank You For Today, is out Friday, but thanks to NPR’s First Listen, you can sample the entire LP now. 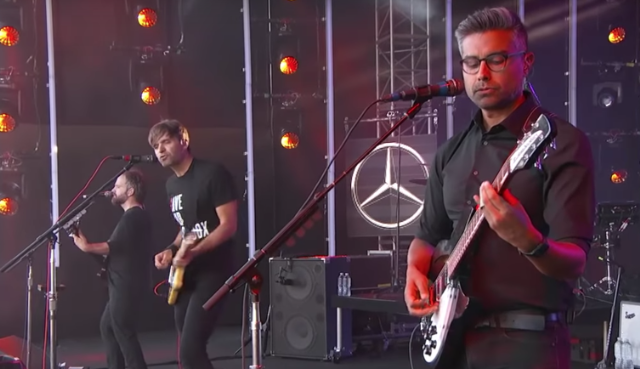 Last night, the Ben-Gibbard-led unit stopped by Jimmy Kimmel Live to celebrate the album’s release, performing a set on the show’s outdoor stage. They ran through the record’s jangly lead single, “Gold Rush,” on the air, and performed several more songs as part of a streaming-only performance, featuring the TYFT tracks “Autumn Love,” “Your Hurricane,” and “Summer Years,” as well as their Transatlanticism staple “The Sound of Settling.” Thank You For Today is the band’s first album recorded without guitarist and producer Chris Walla, and comes just a day shy of the 20th anniversary of their debut album Something About Airplanes. Watch the band’s Kimmel performances below.